Clary Lake is a Great Pond located in Lincoln County Maine in the towns of Whitefield and Jefferson. It is about 680 acres in size and is part of the Sheepscot River watershed. 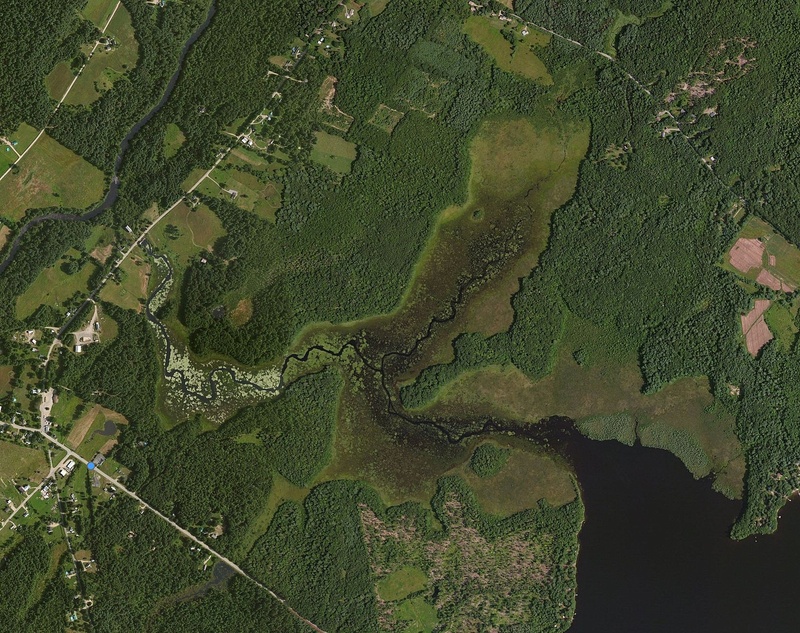 Here is a relatively recent aerial photograph of the lake and an extra high resolution photo of the marsh area. The water level of Clary Lake is maintained by a dam at its outlet on Route 218 in Whitefield. Life around Clary Lake one way or the other seems to revolve around the dam; its condition, which is currently poor, is of concern to everyone. 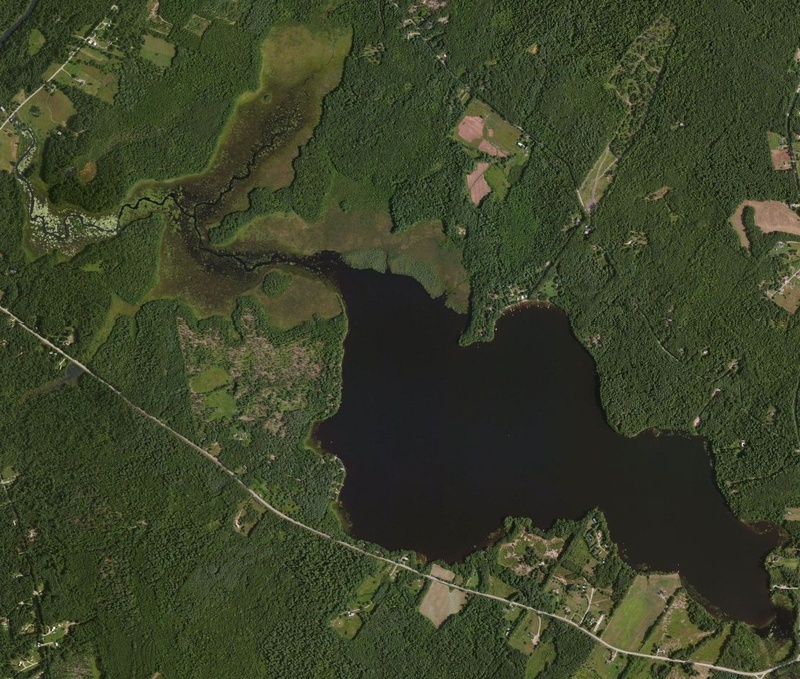 The former dam owner, Pleasant Pond Mill LLC, refused to comply with a water level order issued by the Maine Department of Environmental Protection or even maintain the dam and has caused the lake level to be drawn down to a level lower than most people can remember. Clary is a shallow lake in a good year; draining 2 or 3 feet of water out of it is bad enough; remove 4 or 5 feet of water or more out of it like what happened in the fall and winter of 2011/2012 and what it’s like today, and the total surface area of the lake shrinks by over 300 acres, or more than 44%. The majority of the area drained is high-value significant wildlife and plant habitat. The Association is actively seeking to obtain ownership of the dam and hopes eventually to resolve the “dam problem” once and for all. As of October 13, 2018 the Clary Lake Association is the new owner of the Clary Lake dam and work is underway to repair the dam and restore Clary Lake to it’s historical splendor. The site you’re looking at is the 3rd iteration of the Clary Lake Association website, launched in late January 2013. The original site was conceived and launched back in 2007. It remained in service for about a year. The site was resurrected in the Spring of 2012 to address a pressing need for a means to disseminate information to the general public and to rally local support. Like the previous sites, this one is largely the work of myself, George Fergusson, Clary Lake shore owner, Past President of the Clary Lake Association, current Secretary, board member, and editor of the Clary Lake Clarion, the newsletter of the Association. I live on the south side of the lake in Whitefield on Route 126 near the Jefferson town line. I originally envisioned this site being a resource for the Clary Lake Community in general, not just for Association members- a place where all lake shore owners could gather and share ideas, concerns, and information. I still have this vision, but right off this site is has to fulfill a more immediate need. Many thanks to the Association for providing us with this online resource. Your ideas and suggestions for this site are welcome- please take some time and explore what is here and send me your comments and I’ll try and work them in. If you’d like to help with the site or have content and/or pictures you think we could use, let us know that too! Membership in the Clary Lake Association is open to everyone and we need your help now more than ever. Find out how you can support the Association and help protect Clary Lake.